Logs will be uploaded to the TO6OK DXpedition page on Clublog here. 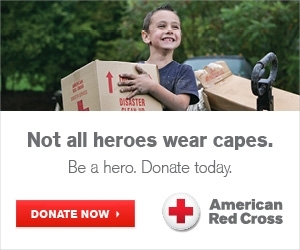 They are really stressing their preference for OQRS via Clublog. They will also QSL via LOTW, direct (via OK6DJ) and the bureau. For more QSL info see their official QSL page here. Active TO6OK thread - QRZ's "DX Zone"
Active TO6OK thread - E-Ham's "DXing"
Update Oct 5, 2018: With over 47K QSO's in the log, the TO6OK DXpedition is now QRT. The Czech DX Group is going on another adventure - this time to the Mayotte Islands, number 95 on Clublog's "most wanted" list! 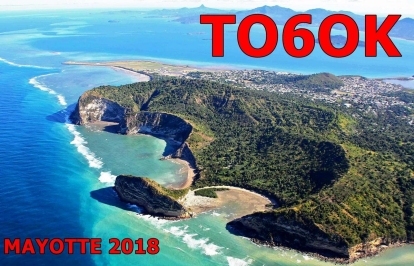 Petr OK1BOA, Petr OK1FCJ, Pavel OK1GK, Ruda OK2ZA, Ludek OK2ZC, Karel OK2ZI, David OK6DJ will be active from Mayotte between September 20 to October 6, 2018. They will be using CW, SSB, RTTY and FT-8 on 160 through 10 meters.